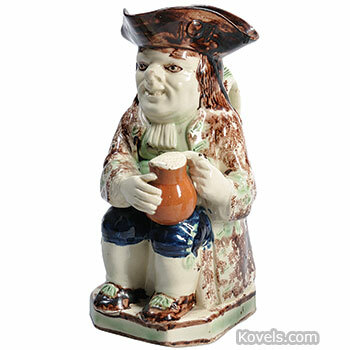 Toby jug is the name of a very special form of pitcher. 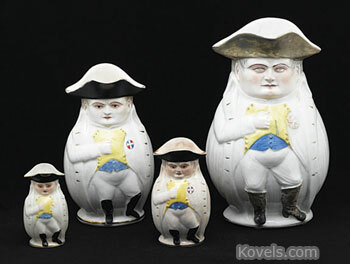 It is shaped like the full figure of a man or woman. 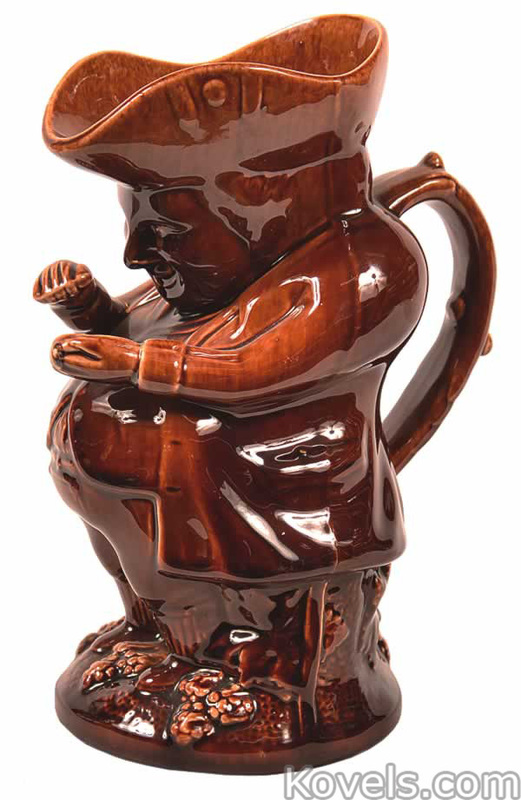 A pitcher that shows just the top half of a person is not correctly called a toby. 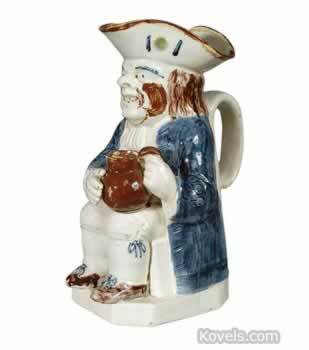 It is sometimes called a character jug. 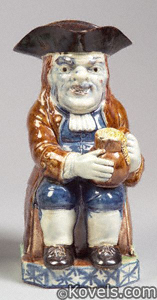 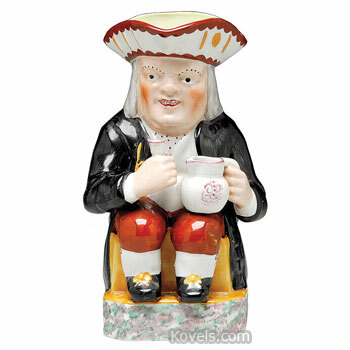 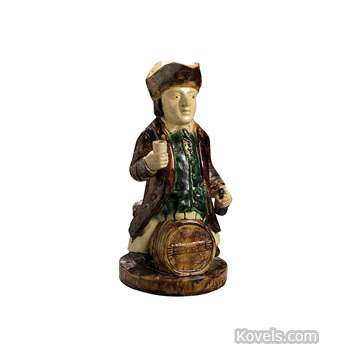 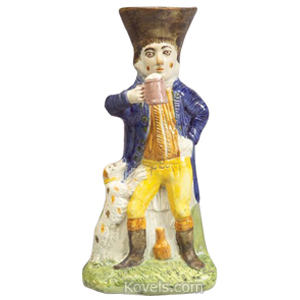 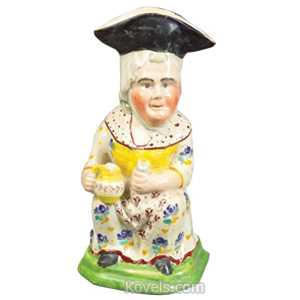 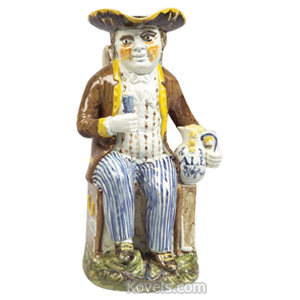 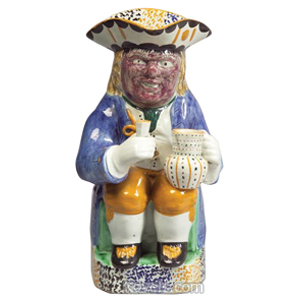 The Toby Jug was named for Toby Philpot, an infamous drinker mentioned in a British song written in 1761. 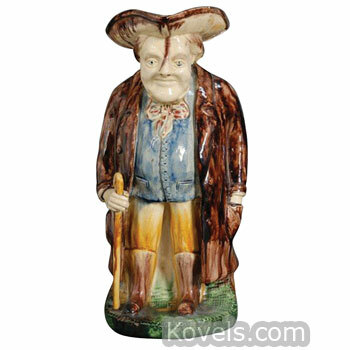 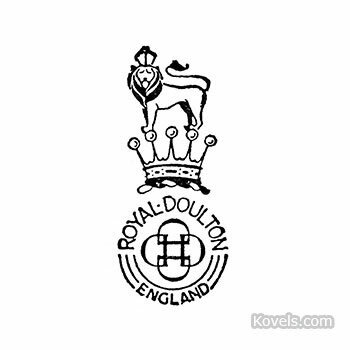 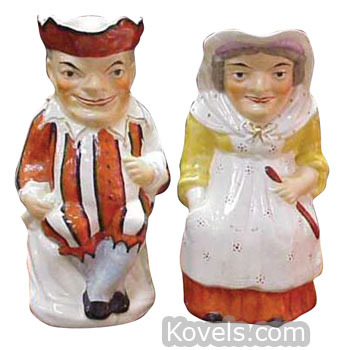 More examples of toby jugs can be found under Royal Doulton and other factory names.